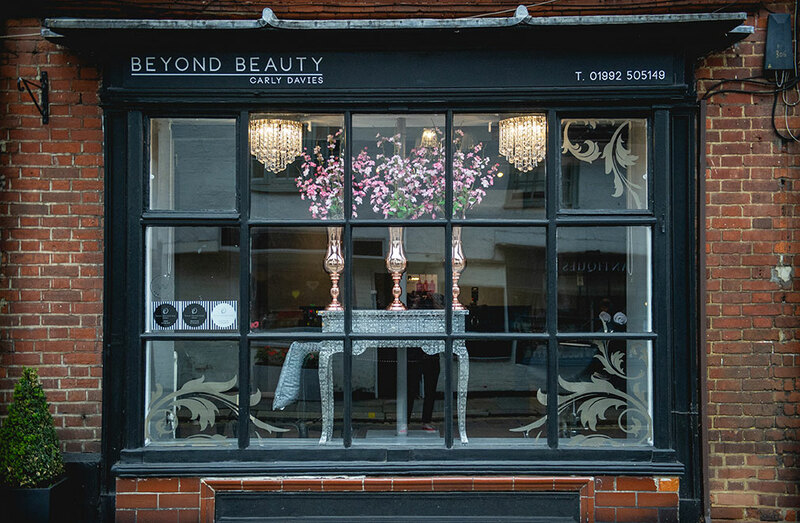 Welcome to Beyond Beauty, located on St Andrew Street in Hertford. As a business we have been established in Hertford since 2006, having worked in three different locations we finally found our home in beautiful Saint Andrew Street. Seventeen years in the beauty industry and as passionate as ever, my 'thing' is to look into the newest, and what i believe to be the best treatments on the market to offer our clients. Re-investing in myself and my team and the treatments we provide, our therapists are trained to the highest standard to fulfill your every need, whether its to maintain your regular beauty requirements, or to indulge in one of our more exclusive treatments, you will definitely find something from the wide range of services and treatments on offer to make you feel totally relaxed, revitalised and beautiful both inside and out. Having managed and co founded Ugly's beauty salon in Hertford with my friend and business partner Jade Goody in 2004, I have trained in many aspects of beauty going on to train in Semi Permanent Make-up in 2007 which is now what I specialise in. I joined the HD brow family in 2011 becoming a Master Stylist and training for the company for three years. We took on the prestigious Collagenwave facial treatment in 2015, being one of eight salons in the UK to be trained, qualified and certified. We have our cosmetic practitioner Siobhan Suddaby from Eternally Young join us once a month offering injections for fine lines and wrinkles, Siobhan has a wealth of knowledge in this field and has worked with us for seven years. We welcome every one old and new, we have a men's grooming menu, we offer bridal packages and pamper days/evenings and parties. New to the salon The Crystal Clear COMCIT Frozen Elite facial. The Next Generation in Facial Rejuvenation COMCIT (Cryo-oxygen Micro-channelling Collagen Induction Therapy) is an effective and advanced skin rejuvenation system, because it offers four simultaneous modes of action all designed to stimulate Collagen production. This treatment is perfect for lines, wrinkles, aged lax dulling skin, acne prone, acne scarring, instant pre party glow for face, neck, décolletage, we also can treat back of hands, tops of arms, back. We offer 4 facials in this range and one designed especially for teens, for more information on this treatment or to book please call us on 01992 505149.